When you simply be, giving up the need to become, you are FREE! This question has to be answered by understanding why it is being asked in the first place. What is the difficulty in letting things be? One clear idea can be that if you don’t do something about some situation, you will have abdicated responsibility. Or if you don’t do something, something worse will happen. Or that you may grieve later that possibly you could have done something. So, for these reasons and perhaps a few more, you will find it difficult to let things be! And you want to get back into control. Let’s also be clear about what situations call for action and which ones call for letting them be. Your house is on fire, obviously, you can call the fire service. Your teenage child is taking to drugs. Surely you can counsel him and take him to a de-addiction center and work on getting him back. So, you act when you can act and must act. No issues. But there may be situations in Life when you cannot do anything. Someone close to you is dead. What action can you take to bring the person back to Life? 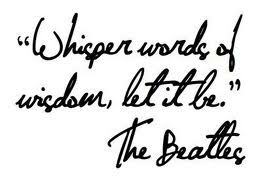 So, let it be. Or someone is seriously ill. The doctors are trying. But they too say only a miracle can save her. What can you do to work that miracle? The best you can do is to let it be. Or a relationship is suffering because someone is hell bent on interpreting whatever you say. You have clarified, apologized, fallen at their feet, but the person keeps on bludgeoning you. What can you do? You want the situation to heal, but what can you do? Healing takes time. 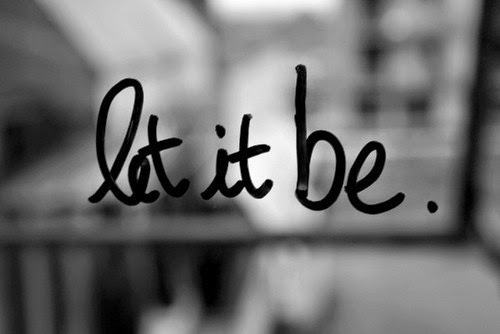 So, you just let it be. Or you try your best to resurrect a failed business and your Life, but every single attempt meets with zero success. It’s not that you lack talent or purpose or values or ethics. But still the business doesn’t happen. Money just refuses to come to you. You have tried getting an employment but nobody even wants to meet you, let alone hire you. What do you do? Other than letting it be, do you have a choice? 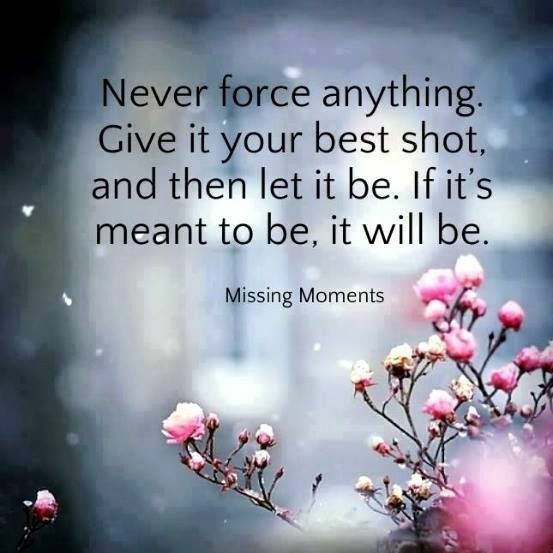 So, when you have tried everything and nothing works, while you may still want to try newer approaches to dealing with a Life situation, you just let it be. That’s how you experience true freedom. Freedom means a certain inexplicable blitheness of the spirit. You feel alive – because fear, anger, worry, guilt, everything, every uninvited guest who was residing in you, holding you in their grasp, has taken leave. The house is empty. And what resides there is a lot of free spirit and light. It’s pure. It’s beautiful. And that is what the true meaning of Life is __ being free, unshackled, unencumbered, detached, being alive. Author AVIS ViswanathanPosted on October 7, 2015 March 14, 2016 Categories Art of Living, http://schemas.google.com/blogger/2008/kind#post, Inner Peace, Intelligent Living, Just Be, Let it be1 Comment on When you simply be, giving up the need to become, you are FREE! 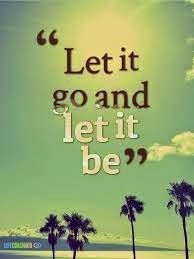 If it has gone, simply, let it go! When something or someone goes out of your Life, simply let ‘em go! Understand that loss is an integral part of living! Last evening, my phone fell down on the street, hit a kerbside stone, and the display screen cracked irreparably. I was shocked for a nano-second. Then I picked up the instrument to check if it was working. It was. I dusted it and moved on – after double-checking all its functions. I smiled to myself. Some years ago, I would never have been this way. I would have grieved and sulked. Especially, in a situation when replacing the phone instantly is not an option – I don’t have the means to buy a new phone! In fact, even this one was gifted to me by a friend some months ago. As I looked at my battered phone later in the evening, I remembered an incident that happened eight years ago. I am a collector of LAMY pens. And at that time, I was using one daily. I simply loved the look and feel of these pens. I was naturally very possessive about my LAMY collection. On a flight from Chennai to Mumbai, I lost my blue LAMY. I remember how I grieved through all my meetings that day in Mumbai and how I needed more than a few drinks that evening to get the blue LAMY out of my mind. In contrast, I felt good with myself surveying my phone last evening – with my ability to have let go of what had already gone (broke)! There’s a beautiful song from the 1961 Tamil classic Paalum Pazhamum(A.Bhimsingh, Sivaji Ganesan, Saroja Devi) which goes “Ponaal Pogattum Poda…” (Viswanathan-Ramamoorthy, Kannadasan, T.M. Soundarajan). The lyrics basically mean, “If it has gone, let it go…everything/everyone is impermanent…)! That song, to me, sums up what Life is all about! Indeed. Everything and everyone around us has to go one day. The very nature of Life is impermanent. If you pause for a moment to reflect, you will realize that you came with nothing and you will go with nothing. Your name, your wealth, your qualifications, your experiences, your memories, your relationships – nothing will make it with you. When it is your time, you will have to go. Period. This is one non-negotiable quality about Life. Then, if you care to reflect more, why do we cling on to almost everyone and everything? It is because we cling on, because we don’t let go, that we suffer. What happens to us is not in our control – whether it is a broken mobile phone or a broken relationship or the death of someone we love. But how we let things and people go, when it is time for them to go, out of our lives, can truly impact how we feel about and experience Life. If you resist what’s going or gone, you will find Life to be an endless struggle. But if you let go gracefully, you will be drenched in inner peace and happiness – no matter what the circumstances are! Author AVIS ViswanathanPosted on February 10, 2015 March 14, 2016 Categories Art of Living, Happiness, http://schemas.google.com/blogger/2008/kind#post, Inner Peace, Intelligent Living, LAMY, Let Go, Let it be, Let It Go!, Paalum Pazhamum, Sivaji Ganesan, Suffering, T M SoundarajanLeave a comment on If it has gone, simply, let it go!